Oak Hill School (FL)'s Tamari Davis grabbed yet another national title in the 200m dash on Saturday. Her 23.24 mark in finals further improved her US No. 1 mark set in prelims: 23.31. She was only 0.03 seconds off of her lifetime best. Davis continues to show just how dominant she is in the short sprints. 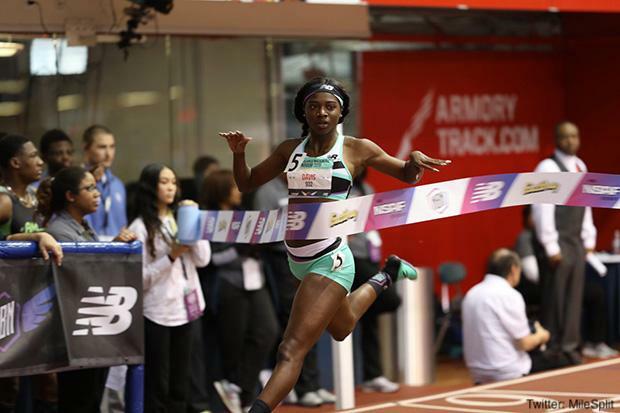 The national championship on Saturday was her third straight New Balance Nationals gold after having won last year's indoor and outdoor competitions. Finishing second was Thelma Davies in 23.78 with Garner (NC) Jonah Ross finishing just behind her in 23.79.